IT ISN'T ONLY Republicans, it seems, who traffic in alternative facts. Since Donald Trump's shock election victory, leading Democrats have worked hard to convince themselves, and the rest of us, that his triumph had less to do with racism and much more to do with economic anxiety - despite almost all of the available evidence suggesting otherwise. Consider Bernie Sanders, de facto leader of the #Resistance. "Some people think that the people who voted for Trump are racists and sexists and homophobes and deplorable folks," he said at a rally in Boston on Friday, alongside fellow progressive senator Elizabeth Warren. "I don't agree." Writing in the New York Times three days after the election last November, the senator from Vermont claimed Trump voters were "expressing their fierce opposition to an economic and political system that puts wealthy and corporate interests over their own". Warren agrees with him. "There were millions of people across this country who voted for [Trump] not because of his bigotry, but in spite of that bigotry" because the system is "not working for them economically," the Massachusetts senator told MSNBC last year. 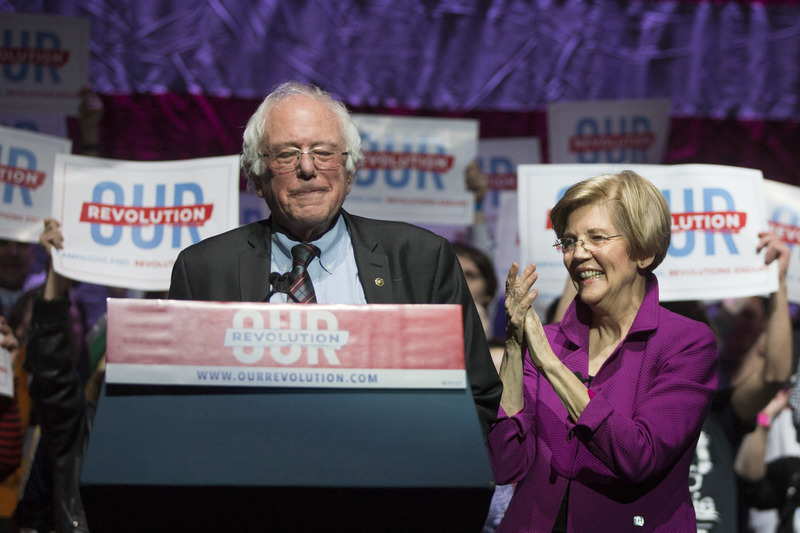 Both Sanders and Warren seem much keener to lay the blame at the door of the dysfunctional Democratic Party and an ailing economy than at the feet of racist Republican voters. Their deflection isn't surprising. Nor is their coddling of those who happily embraced an openly xenophobic candidate. Look, I get it. It's difficult to accept that millions of your fellow citizens harbor what political scientists have identified as " racial resentment." The reluctance to acknowledge that bigotry, and tolerance of bigotry, is still so widespread in society is understandable. From an electoral perspective too, why would senior members of the Democratic leadership want to alienate millions of voters by dismissing them as racist bigots? Facts, however, as a rather more illustrious predecessor of President Trump once remarked, "are stubborn things." Interestingly, on the very same day that Sanders offered his evidence-free defense of Trump voters in Boston, the latest data from the American National Election Studies (ANES) was released. Philip Klinkner, a political scientist at Hamilton College and an expert on race relations, has pored over this ANES data and tells me that "whether it's good politics to say so or not, the evidence from the 2016 election is very clear that attitudes about blacks, immigrants, and Muslims were a key component of Trump's appeal." For example, he says, "in 2016 Trump did worse than Mitt Romney among voters with low and moderate levels of racial resentment, but much better among those with high levels of resentment." The new ANES data only confirms what a plethora of studies have told us since the start of the presidential campaign: the race was about race. Klinkner himself grabbed headlines last summer when he revealed that the best way to identify a Trump supporter in the U.S. was to ask "just one simple question: is Barack Obama a Muslim?" Because, he said, "if they are white and the answer is yes, 89 percent of the time that person will have a higher opinion of Trump than Clinton." This is economic anxiety? Really? 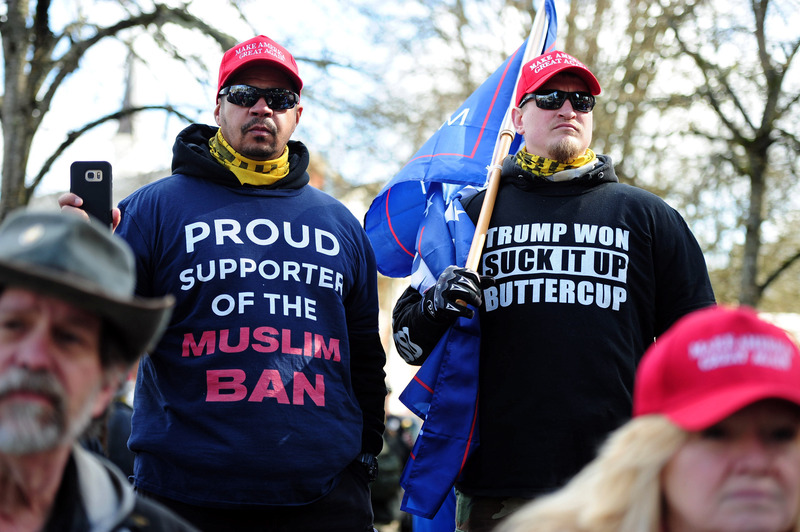 Other surveys and polls of Trump voters found "a strong relationship between anti-black attitudes and support for Trump"; Trump supporters being " more likely to describe African Americans as 'criminal,' 'unintelligent,' 'lazy' and 'violent'"; more likely to believe " people of color are taking white jobs"; and a "majority" of them rating blacks "as less evolved than whites." Sorry, but how can any of these prejudices be blamed on free trade or low wages? For Sanders, Warren and others on the left, the economy is what matters most and class is everything. Yet the empirical evidence just isn't there to support them. Yes Trump won a (big) majority of non-college-educated whites, but he also won a majority of college-educated whites, too. He won more young white voters than Clinton did and also a majority of white women; he managed to win white votes regardless of age, gender, income or education. Class wasn't everything in 2016. In a recent essay in The Nation, analysts Sean McElwee and Jason McDaniel point out that "income predicted support for McCain and Romney, but not Trump." Their conclusion? "Racial identity and attitudes have further displaced class as the central battleground of American politics." Their view is backed by a detailed Gallup analysis of interviews with a whopping 125,000 Americans, which found that Trump supporters, far from being the "left behind" or the losers of globalization, "earn relatively high household incomes and are no less likely to be unemployed or exposed to competition through trade or immigration." The "bottom line" for Gallup's senior economist Jonathan Rothwell? "Trump's popularity cannot be neatly linked to economic hardship." Look, if you still believe that Trump's appeal was rooted in economic, and not racial, anxiety, ask yourself the following questions: Why did a majority of Americans earning less than $50,000 a year vote for Clinton, not Trump, according to the exit polls? Why, in the key Rust Belt swing states of Michigan, Wisconsin and Pennsylvania, did most voters who cited the economy as "the most important issue facing the country" opt for Hillary over the Donald? And why didn't black or Latino working class voters flock to Trump with the same fervor as white working class voters? Or does their economic insecurity not count? To be clear, no one is saying there weren't any legitimate economic grievances in Trumpland, nor is anyone claiming that the economy played no role whatsoever. The point, however, is that it wasn't the major motivating factor for most Trump voters - or, at least, that's what we learn when we bother to study those voters. Race trumped economics. 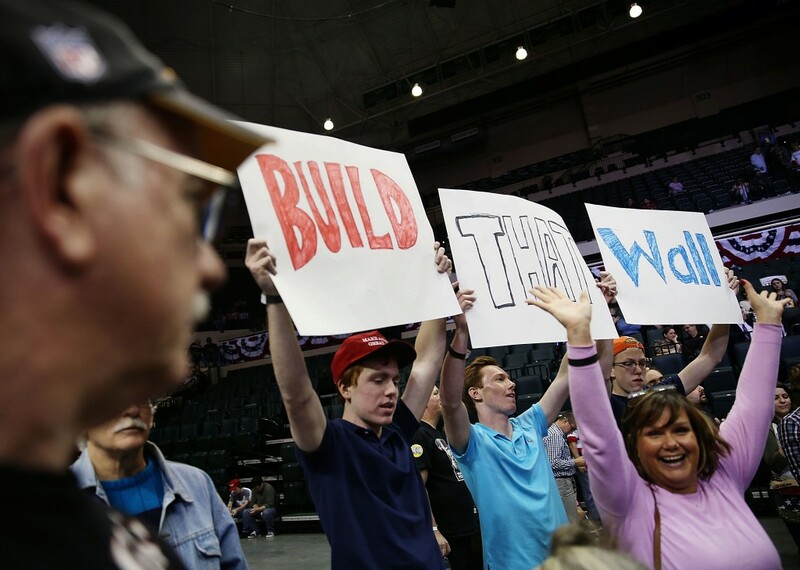 Defenders of the economy narrative have a "gotcha" question of their own: how can racial resentment have motivated Trump supporters when so many of them voted for Barack Obama, across the Rust Belt, in 2008 and 2012? "They're not racists," filmmaker Michael Moore passionately argued last November. "They twice voted for a man whose middle name is Hussein." Klinkner, though, gives short shrift to this argument. First, he tells me, "most of them didn't vote for Obama. There weren't many vote switchers between 2012 and 2016." Second, "working class whites shifted to Trump less because they were working class than because they were white." Klinkner points out that in 2016, Clinton, unlike Obama, faced a Republican candidate who "pushed the buttons of race and nativism in open and explicit ways that John McCain and Mitt Romney were unwilling or unable to do." If Democrats are going to have any chance of winning back the White House in 2020, they have to understand why they lost in 2016, and that understanding has to be based on facts and figures, however inconvenient or awkward. The Sanders/Warren/Moore wing of the party is right to focus on fair trade and income equality; the calls for higher wages and better regulation are morally and economically correct. What they are not, however, is some sort of silver bullet to solve the issue of racism. As the University of California's Michael Tesler, author of "Post-Racial or Most-Racial? Race and Politics in the Obama Era," has pointed out, the "evidence suggests that racial resentment is driving economic anxiety, not the other way around." Always remember: You have to identify the disease before you can begin work on a cure. In the case of support for Donald Trump, the results are in: It isn't the economy. It's the racism, stupid.